Avaes Mohammad was born in Blackburn, Lancashire. It was whilst completing his Chemistry Doctorate in Manchester that he found his voice as poet, playwright and performer. Inspired by or even in spite of the Asian riots of 2001 and that event on 11th September, Avaes committed his voice and work as instruments of social reform and deeper human understanding. Artist-Alchemist-Activist, Avaes joined the Manchester based Asian Underground movement Nashini in 2002 and developed his own voice with influences stretching from the Sufi-Saints of South Asia to the Dub-Poets of Jamaica and has since performed his poetry on stages across the UK, in Denmark, India, Pakistan and South Africa. He has also appeared extensively on Radio and had his poem ‘Bhopal’ commissioned by BBC Radio 4, which went on to win an Amnesty International Media Award in 2005. 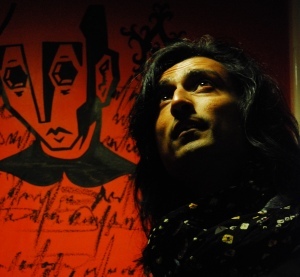 In 2003 Avaes expanded into playwriting and has since been commissioned by BBC Radio and Theatre Companies across the country with his plays ‘Bhopal’ (2003), ‘In God We Trust’ (2005), ‘The Student’ (2007), ‘Shadow Companion’ (2008) and ‘Crystal Kisses’ (2010/2011), consistently achieving 4 star reviews. He is currently writing plays for four separate theatre companies across the UK. A versatile workshop facilitator, Avaes is also an Associate Artist with London-based Tamasha Theatre Company, where he jointly lead upon the ‘Small Lives Global Ties’ writers group, a group committed to exploring cultural specific writings as a means by which to attain universality. His poem ‘The Clash’ was recently published in ‘Defending Multiculturalism: A guide for the movement’ a vibrant, hard-hitting and informative collection of poems and essays that set out to defend Britain’s multicultural way of life.